A test for a recently discovered virus in horses that has been likened to HIV in humans has been developed by Portuguese scientists. New Equine Virus (NEV) was first identified in 2013 by Portuguese scientist Isabel Fidalgo Carvalho, during the course of her PhD studies at the universities of Oporto and Pittsburg. Affected horses cross-reacted with EIA virus but gave negative results in the official (“Coggins”) test. Subsequent research found that the horses were actually suffering from a different disease. The virus was identified as a lentivirus (the family of viruses that include human immunodeficiency virus [HIV], as well as EIA). It has been shown to cause anaemia and respiratory and neurological signs. It can be fatal. NEV is thought to be present in as much as 10% of the equine population. Equigerminal founders Alexandre Vieira Pires and Isabel Fidalgo Carvalho. The release of a short paper by Carvalho and colleagues including Alexandre Vieira Pires about NEV in a Portuguese journal caused such concern among the country’s equestrians that the Portuguese Equestrian Federation was prompted to write to horse owners and veterinarians asking them not to panic. “We believe that NEV has been undetected for so long because previously signs were being attributed to other diseases – such as swamp fever or herpes virus,” Carvalho said. Carvalho and Pires are co-founders of biotech company Equigerminal, which offers a diagnostic test for NEV, for €45. Once a horse has been tested the appropriate treatment can be given and the spread of the disease prevented. Treatment is currently targeted towards improving the general well-being of the horse, health monitoring, and boosting the animal’s immune system. 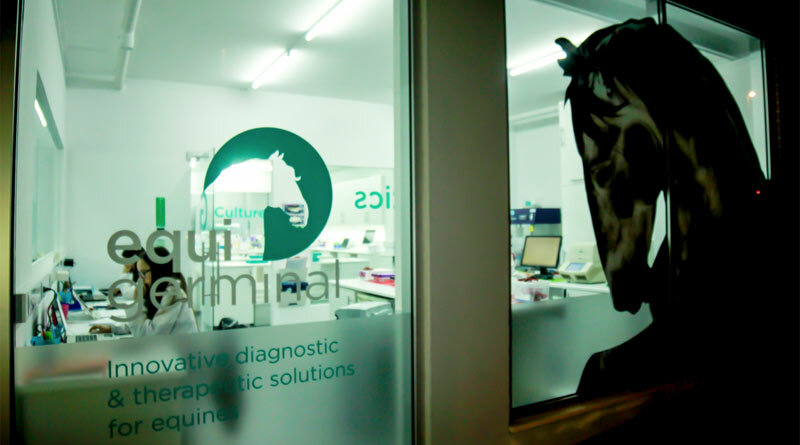 Having developed the test, their aim now is to study the NEV seroprevalence worldwide and to explore the association of NEV with equine viral encephalitis. The next stage is to find a treatment and a cure for NEV.